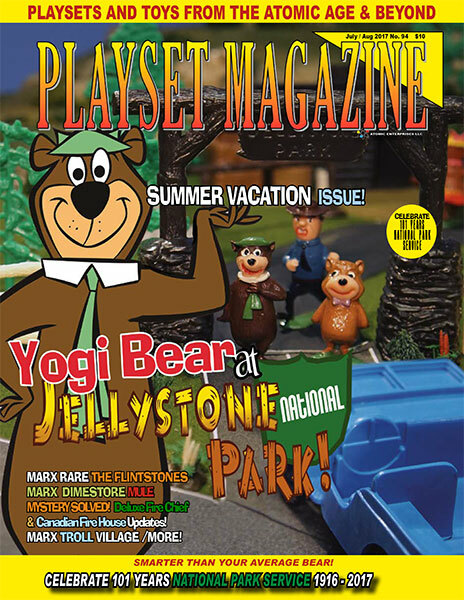 PLAYSET MAGAZINE ISSUE 94: SUMMER VACATION ISSUE! Take a summer vacation away from all your cares with some truly delightful Marx playsets! 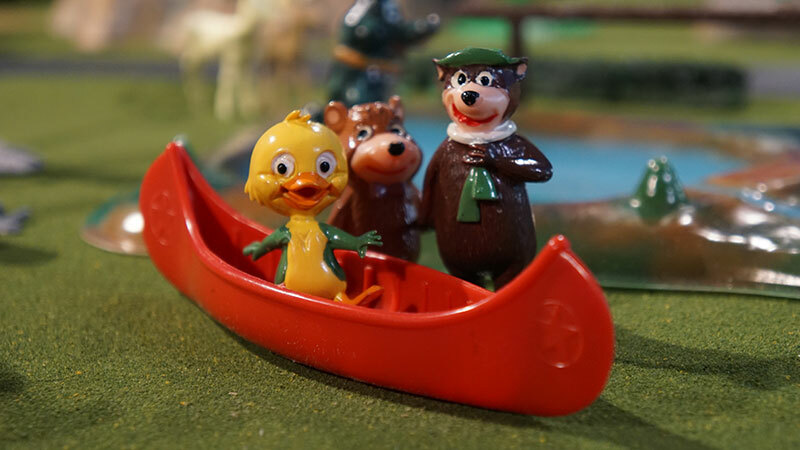 We celebrate the 101st Anniversary of the National Park System with Yogi Bear at Jellystone National Park playset by Marx. This TV set is taken right from one of our favorite early 60’s shows, replicating almost everything we saw and ties-in the splendor of a great miniature outdoors setting. See the rare components of a complete picnicking setting; the Ranger Cabin and more. Enjoy Yogi’s Hanna-Barbera character figures in glorious full color while perusing the other uncommon aspects of a set that didn’t quite make it onto the radar of a lot of collectors. But due to its beautiful rendition of the great outdoors that includes the less commonly used Western Terrain rock formations (the ones with a cliff and the cave) plus an unusual abundance of trees and wildlife, well, as Rick Eber puts it, “Once guys see this set they like it!” And that’s exactly what happened to your editors, who suddenly took a strong liking to our national parks as well. As a matter of fact, for Kathy’s birthday which comes up almost as soon as we finish this notice, we’re taking a long put-off break and heading into the great Rocky Mountain National Park ourselves for some needed refreshment, crisp air and dazzling beauty. That’s what this set does for you! 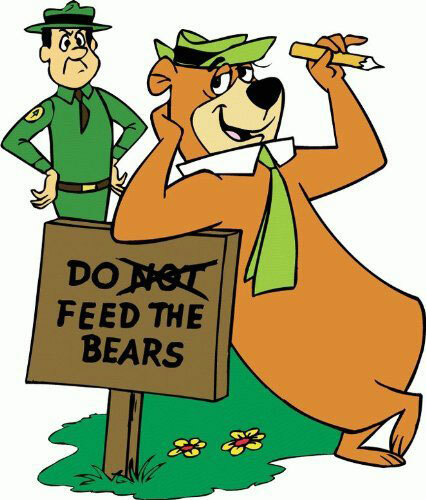 Take it from us; once you see the Yogi Bear at Jellystone National Park, it gets onto your collecting list pretty quickly. The same might be equally true of another set featured this issue, the rarer Flintstones half-set. This is in a seldom seen carton that was a down sized version of the big Flintstones offered by Marx in the 1961 and 1962 period. The rare colors that are in play are enough-- it gets on top of collecting lists pretty quick. For guys with that Fire House glow still burning, we’re summing up our update finale with a rare, never before seen view of the actual Canadian set photos sent in by Karl Diner. And we have a sizzling-hot Deluxe Reading Fire Chief update and also, be sure to check out this issues’ small review of Marx’ Troll Village playset as well. We’re very proud of Tom Stark’s Puzzler this issue, a tribute to 55 Days at Peking and he’s done a beautiful job recreating the fabled walls of that historic city. Another delight is that decade’s old Marx mystery, “We know there was a mule with a pack. But how the heck did Marx sell the thing? Francis Turner has turned up the answer with some sparkling photos – and speaking of that, Rick Eber has delivered some great shots of the mint boxed featured sets in this issue. Thanks to you all very much. So join us for a fun and festive cartoon salute to Hanna – Barbera and their ingenious TV shows with this issues’ very own Summer Vacation! Thank you for dropping by, and as always dear readers, thanks for making Playset Magazine a part of your collection!